The way in which dynamic designs can function is visible in forward-looking architectural concepts and their implementation with aluminium and glass facades from GIG. The lightness and transparency of these structures is the result of highly advanced technology and the perfect interplay between architects and the GIG-team. 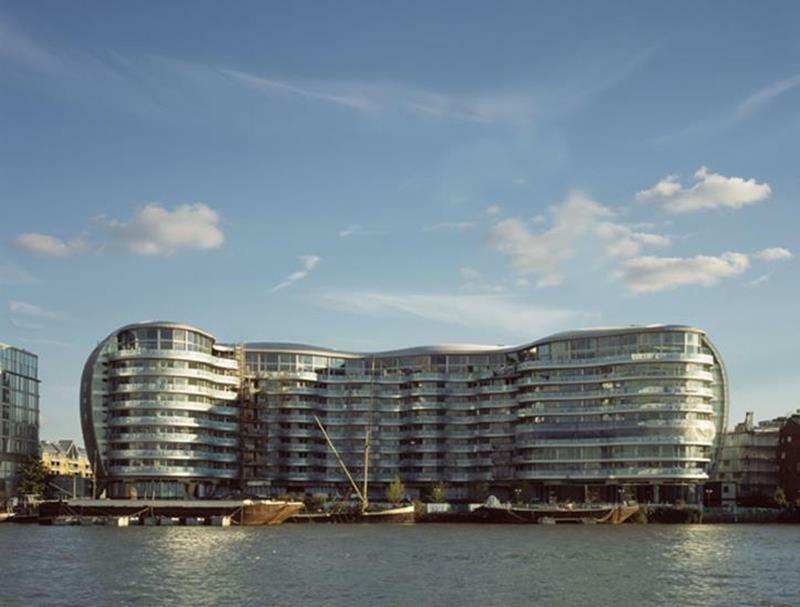 This is how schemes are crated that offer more light, more air and a better view, along with an invitation to enjoy new forms of urban living and quality of life, as demonstrated in Albion Riverside, London. Powerful perspectives from every angle and a panoramic view from Albion Riverside. - Flowing contours and clearly expressed ideas. A mile of curved glass balustrades - made by GIG. Like a luxury liner, the structures along the banks of the Thames mirror London's urban river landscape. 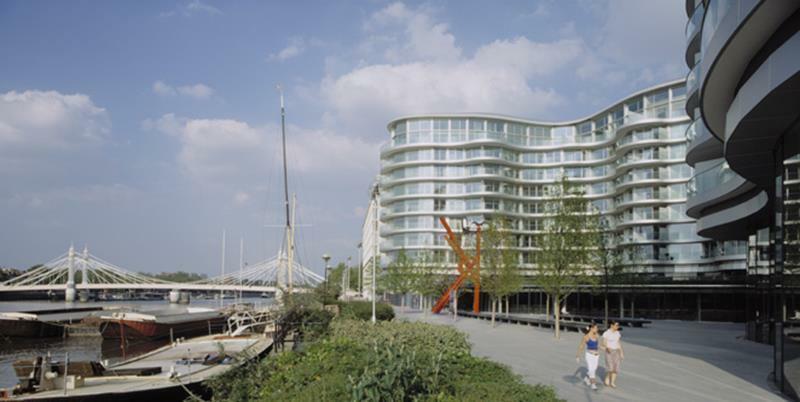 Small wonder that the Albion Riverside project, consisting of three buildings, is regarded as a superlative address in the British capital. Above all the provision of unobstructed panoramic views from the apartments represented a spectacular challenge to GIG. 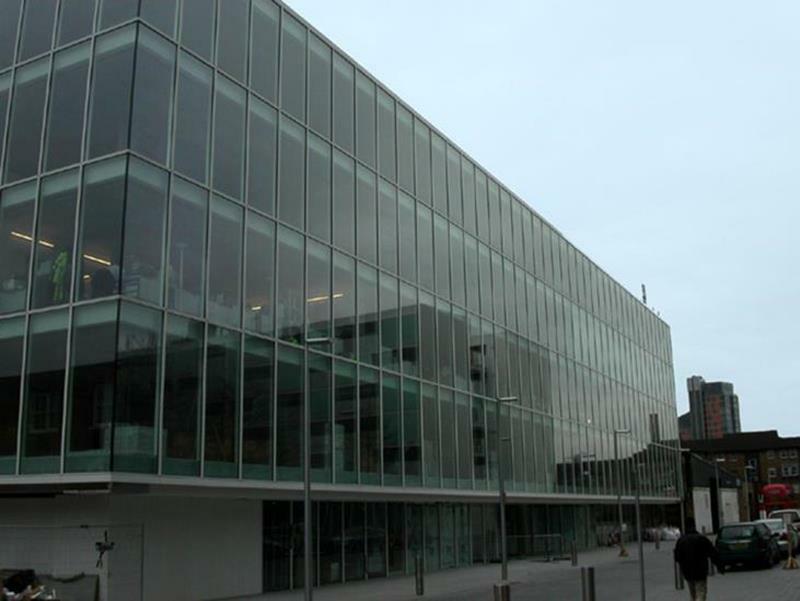 The Company received a four part order, which included the balustrades with separation screens and two floor podium glazing with 8,4 metre high spans without transoms. 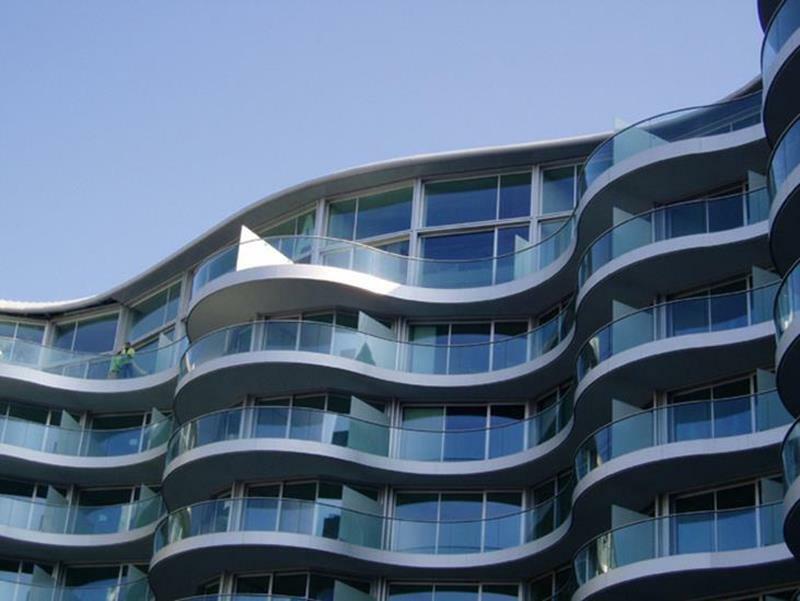 The wavelike facades required the installation of balustrades with a total length of no less than 1.6 kilometres. High-tech production and innovative logistics. On-site assembly involved the installation of complete, prefabricated facade panels including all the doors and windows for Building 1, as well as the panellised facade for Building 2. In both cases storey-high panel facades were employed. 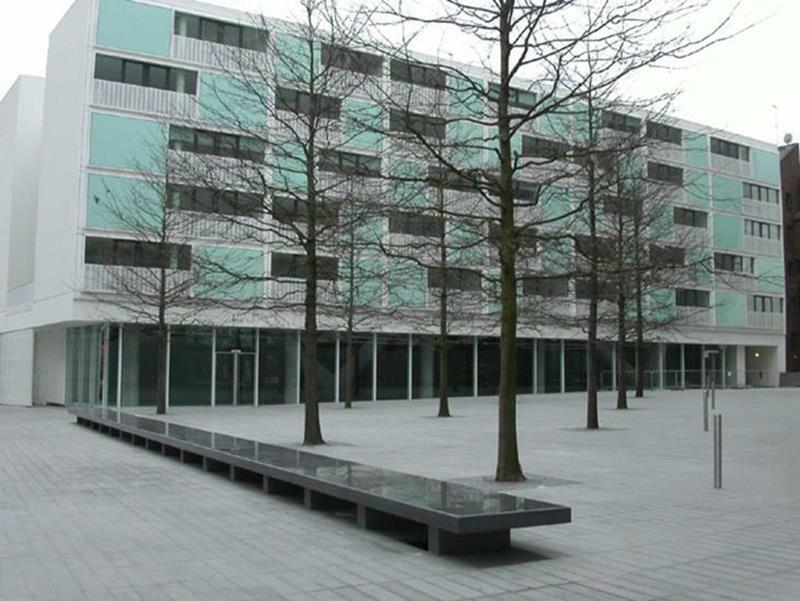 Elements with a standard width of 1,5 metres were manufactured, supplied and installed for Building 2, while for Building 1 prefabricated, oversized panels with a width up to 5,5 metres were used. It was not only the installation that was demanding, but also the production of the panels at GIG's factory in Austria. Ther very latest technology, extensive testing and precise scale mock-ups resulted in a complete solution, which has set new benchmarks in London and received acclaim and recognition from specialists around the globe.